The 2017 WNBA season is nearly two months in already and that means it is that time of the year to vote players for the Verizon WNBA All-Star Game. And you, the fans, can play a big part in helping get your favorite Minnesota Lynx players to the All-Star Game on July 22 at KeyArena in Seattle. This season, the fans will account for 50 percent of the votes for the All-Star Game. For the first time ever, WNBA players and media members will join fans in voting, accounting for 25 percent of voting each. Voting opened up on June 13 and will conclude on at 8 p.m. CT on Tuesday, July 6. WNBA fans may submit one full ballot each day through WNBA.com and the WNBA App and may also vote for up to 10 players per day on Twitter and Facebook. All of those options are available at LynxBasketball.com. At WNBA.com, you will be able to fill out one full ballot per day (defined as once every 24 hours) from a desktop or mobile browser. Fans can select up to two guards and three frontcourt players from each conference when choosing starters. On the WNBA App, you can access the ballot and vote through the app, which is available on Android and iOS. Fans can fill out one full ballot per day (defined as once every 24 hours), and select up to two guards and three frontcourt players from each conference when choosing starters. The WNBA App can be downloaded for free from the Apple App Store or Google Play. On Twitter, you may tweet, retweet or reply with an WNBA player’s first and last name or Twitter handle, along with the WNBA All-Star Voting hashtag #WNBAVOTE. Each Tweet may include only one player’s name or handle. Fans may vote for 10 unique players each day throughout the WNBA All-Star voting period. 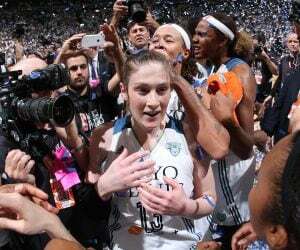 Tweets must include the hashtag #WNBAVOTE to be counted as valid votes. Retweets will count as valid votes. Also, each Twitter user must have the ‘protect my Tweets’ option unchecked under the account’s privacy settings for the votes to count. 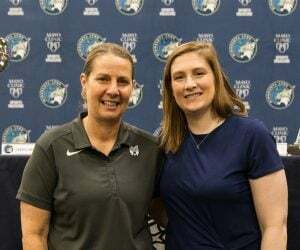 On Facebook, you will be allowed to post the player’s first and last name along with the hashtag #WNBAVOTE on your personal Facebook account, or comment on another’s Facebook post. Each post may include only one player’s name. Fans may post votes for 10 unique players per day throughout the voting period. Facebook status posts must include the hashtag #WNBAVOTE to be counted as valid votes. An update of who the leading vote-getters are in the WNBA will be shared on June 29 on ESPN2. The WNBA All-Star Game starters will be announced live on ESPN at 11 a.m. CT on SportsCenter. The reserves, which are selected by WNBA head coaches, will be announced on ESPN on July 18. You know what to do, Lynx fans. Vote early, vote often and let’s get our Lynx to the All-Star Game in Seattle. 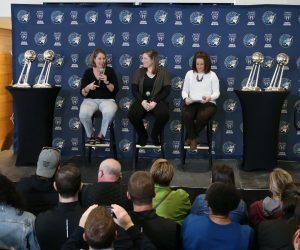 WNBA President Lisa Borders made an appearance at Xcel Energy Center on Saturday night to watch the Minnesota Lynx face the Connecticut Sun in St. Paul. Before the game, Borders met with the media to talk about the state of the WNBA and what she envisions for the future of the league. 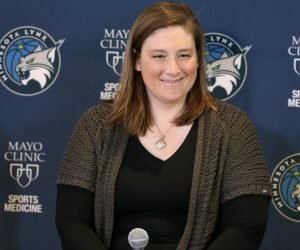 Among various topics, Borders talked about an eventual expansion of the WNBA, saying she thinks the league “will be larger someday.” But she also stated that the league wants to make sure the expansion is done the right way. Borders added that the Lynx have set a great example of being “one of our model franchises” and when an expansion does happen in the future, the Lynx can be viewed as a prototype. Minnesota will host a two-game homestand this weekend at Xcel Energy Center in St. Paul. 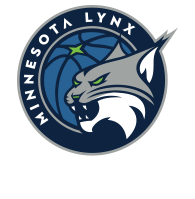 The Lynx will kick off the weekend at 7 p.m. Friday against the Washington Mystics. That game will be aired on ESPN2 and 106.1 BOB FM. The two-game homestand will conclude at 6 p.m. Sunday against the San Antonio Stars. That game will be aired Fox Sports North, NBATV and 106.1 BOB FM.